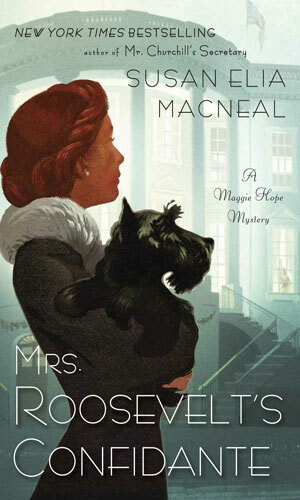 Maggie Hope is an agent with MI-5. Her road to becoming an agent is an interesting one while takes up most of the first recorded adventure. Prior to that she had been a "faculty brat" at the prestigious Wellesley College where her Aunt Edith was a professor. British by birth, she was raised in America by the aunt when her parents were killed in a car accident when she was five. Edith had been at odds with her own mother due to her sexual orientation and had chosen to emigrate to the States. When a few years later the accident left Hope an orphan, it was either an elderly grandmother or Edith to take up raising her. It was two decades later that her paternal grandmother passed away and left to her only grandchild her very nice house on London. Hope had just graduated from Wellesly and was about to begin graduate work at M.I.T. in the Mathematics that she loved so much and was so good at. Rather than starting classes, though, Hope was cajoled by strong-willed Edith into deferring her studies for a year while she headed to the U.K. to sell the house. That was 1937. Just over a year passed with the house becoming "her albatross" but one she grew quite fond of. Expenses being a bit much, she opened the large abode to a few select boarders including her close friend from Wellesley. She was not particularly searching for new employment when a friend recommended a secretarial position at 10 Downing Street and though the odds seemed against her getting it, she got the job. Without that, the many adventures she would face in the years ahead would never have taken place. Hope is 23 at the start of the series. She is very attractive though she tends to downplay her looks relying more on her brain than her beauty. She is red-haired and pale skinned but energetic and not the least reluctant to jumping into any job that needs doing. She is open and friendly and gets on well with strangers which will be a great asset as her work will push her into some very interesting locales. The self-reliance that was pushed into her by Aunt Edith comes in handy when she comes up against the rich and powerful who are used to having their way and expecting lesser people to make way. Hope is not confrontational but she is decidedly not a push-over. Though she is qualified for far bigger things, Maggie Hope's new job at 10 Downing St. is that of a typist for the Prime Minister. That is until she finds clues to a plot to assassinate the country's leader coming from both the Nazis and the IRA. New to MI-5, Maggie Hope is wanting an assignment hunting down spies either at home or the continent. 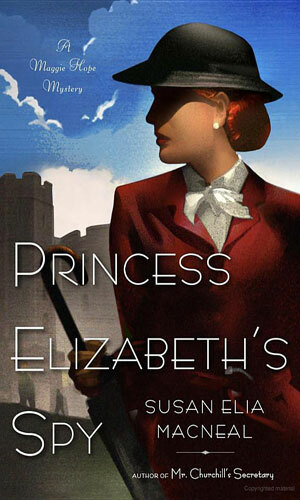 Instead she is assigned as a bodyguard to the teenage princess as her tutor. When the young royal becomes a kidnap target, Hope's presence is very much needed. Now a part of British Intelligence's SOE, Maggie Hope is sent to the continent on assignment - heading to Berlin to gather intelligence but what she learns about her own history makes the job far deadlier. 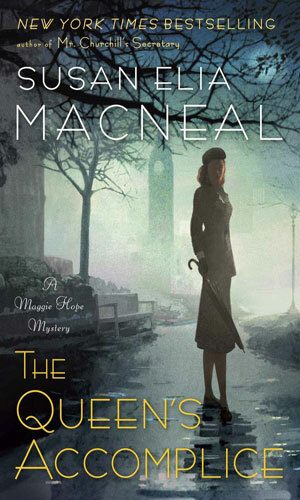 In Scotland recovering from her previous mission, Maggie Hope learns that several ballerinas have fallen ill from unknown sources and MI-5 thinks something troubling may be afoot. She is given the assignment to find the truth. 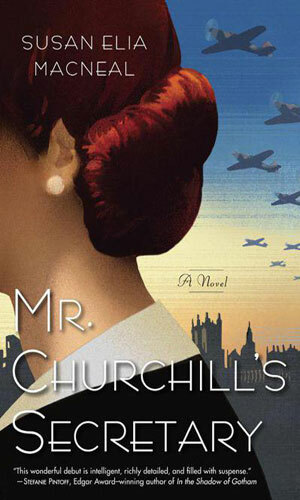 Accompanying Churchill in a visit to the White House shortly after Pearl Harbor, Maggie Hope is there when one of the First Lady's aides is murdered and Hope is pulled into the investigation. MI-5 call for Maggie Hope's help again as a serial killer, called the "Blackout Beast", is active and may have his sights on Buckingham Palace. 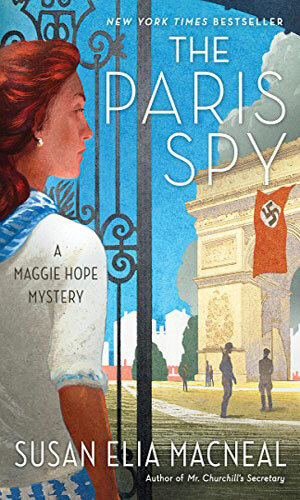 In Nazi-controlled Paris, Maggie Hope continues her work with the S.O.E. learning all she can about German operations even as she risks her life even more trying to learn what happened to her half-sister who recently escaped from a concentration camp. One question is whether the sister wants to be found. Having once been an agent with the SOE and also working closely with Churchill's inner circle, Maggie Hope knows far more than most would like. 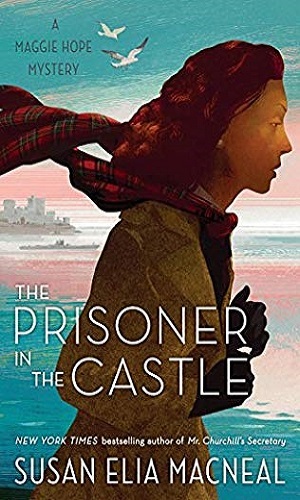 To keep her from revealing things, she is put away in a remote castle in Scotland. Not long after arriving, she learns that other "guests" are being murdered. I was intrigued with the series long before I started reading it. By the description it was definitely not a romance novel but it had some romantic vibes to it. 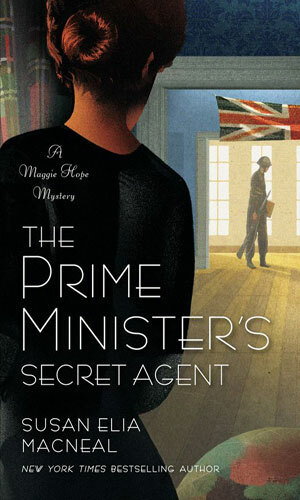 It seemed like it was going to be largely a cozy mystery with some espionage element thrown in but I had a feeling it was going to be more. And it was. Of course, romance comes and goes in Hope's life and there are a couple of deaths that need explaining but without a doubt the espionage portion is front and center and very well executed. Hope is not a female James Bond but she is not a wallflower watching others do things. She gets involved. She is also very smart and astute and if life puts her walking down a dark spooky corridor, she is more than likely to be holding something very deadly for protection. Most decidedly, Hope is no dummy. 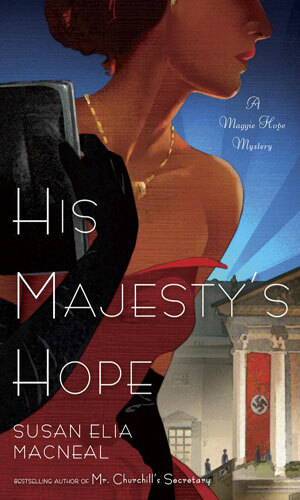 I found the Hope novels a delightful set of reads and when I finished the first, I had to know what she did next. And when that one ended, and she is sent to America undercover, well, I had to see why and what happened. After that, it made sense to keep going. When the fifth book ended, I knew I had to wait for more to come but when it does, I will be happy to again catch up with what Hope is up to.